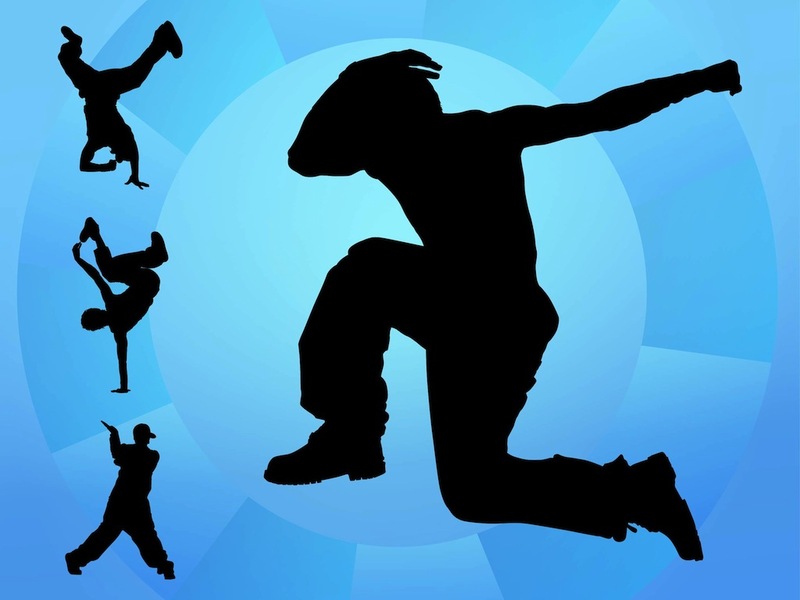 Break dance silhouettes in different positions. Dynamic extreme poses of the popular dance, underground clothing of the dancers. Free vector illustration for all dancing, break dance, underground and street culture, flexibility, working out, keeping fit, hobby, stickers, promotional posters and party flyers designs. Tags: Break Dance, Dancers, Silhouettes, Street Culture, Underground, Urban.